Little Town of Bethlehem will be featured at this year’s Gandhi-King Conference on Peacemaking being held in Memphis from October 21-23. The award-winning documentary will screen on Friday, October 21, from 7:30 to 9:00 p.m. at the University Theater on the campus of Christian Brothers University. Immediately following the screening, director Jim Hanon, noted jazz saxophonist Kirk Whalum, and Robin Salant of Indie Memphis will participate in a panel discussion moderated by Jacob Flowers, executive director of the Mid-South Peace and Justice Center. In addition to serving on the discussion panel, Whalum will be performing from 5:30 to 6:00 p.m. while guests arrive. Whalum produced the Little Town of Bethlehem soundtrack, and he helped blend the sounds of Palestinian and Israeli musicians with artists here in the U.S. who perform Memphis blues. With its strong connection to the civil rights movement, Memphis is an ideal host city for this three-day event. It is the home of the National Civil Rights Museum, located at the Lorraine Motel where Dr. Martin Luther King Jr. was assassinated. On Sunday at 12:30 p.m., Bill Oechsler and Jacob Flowers will participate in a wreath laying ceremony at the National Civil Rights Museum. Whalum will play “Amazing Grace” during the ceremony. This event and the screening of Little Town of Bethlehem are free and open to the public. 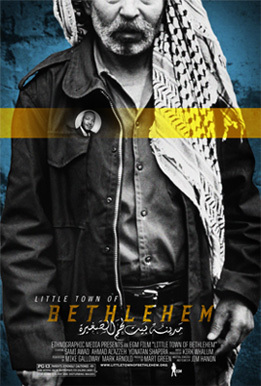 Go here for more information about the conference screening of Little Town of Bethlehem.